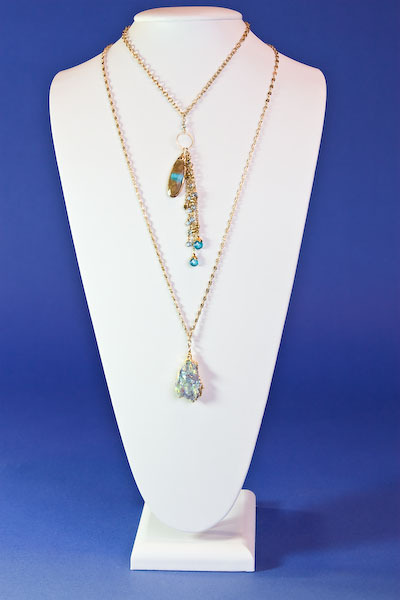 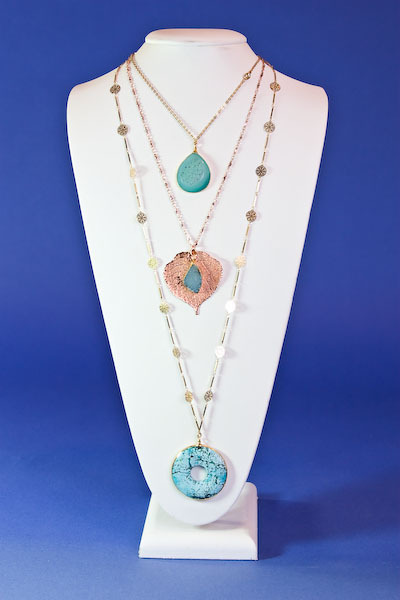 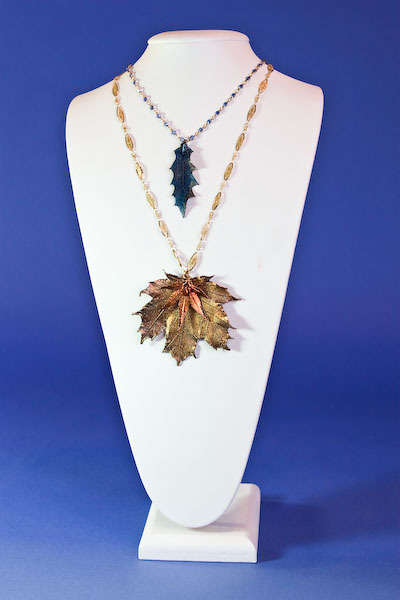 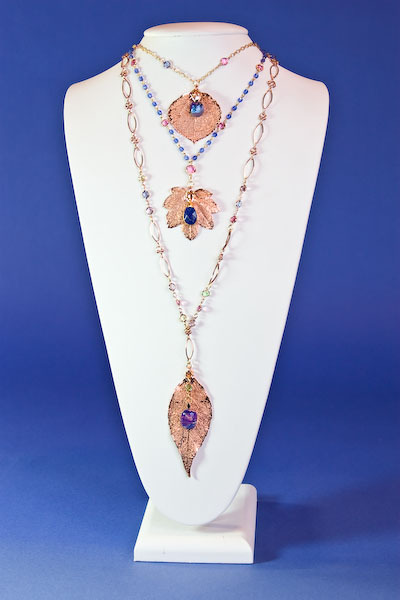 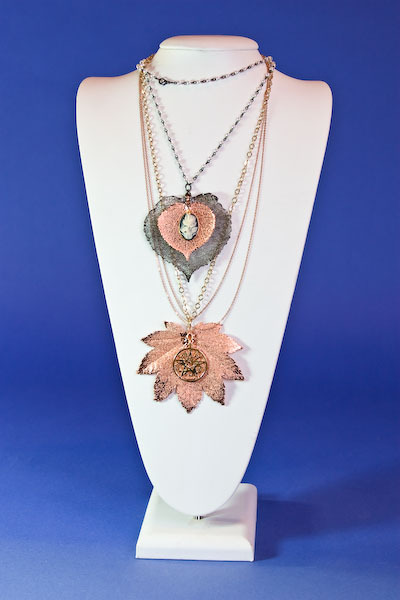 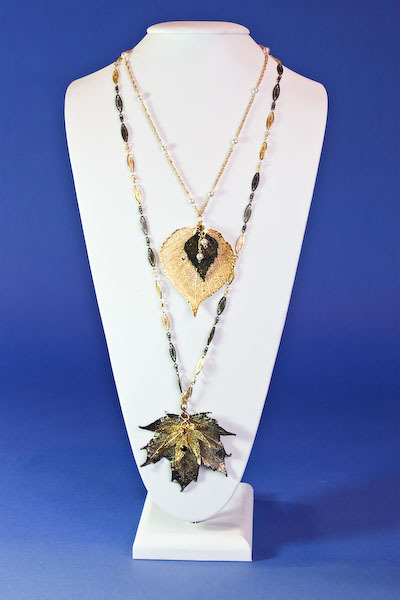 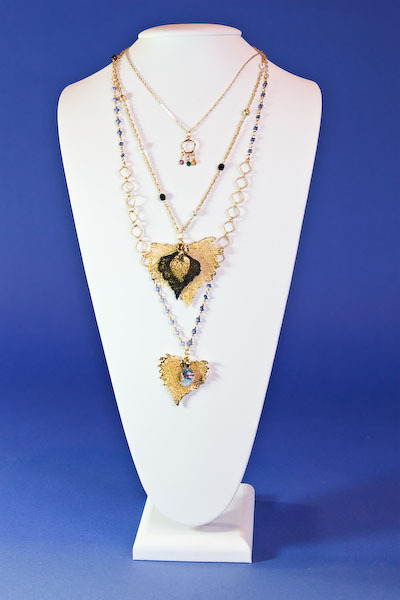 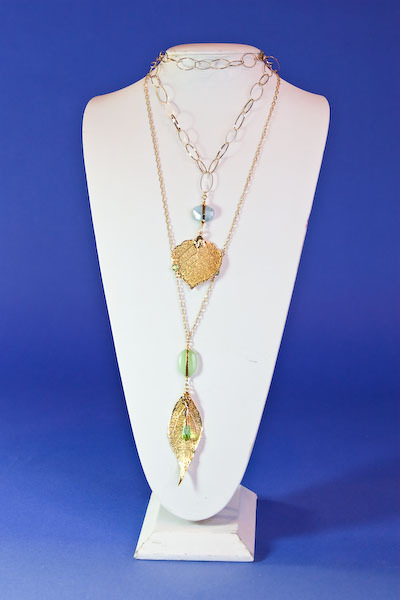 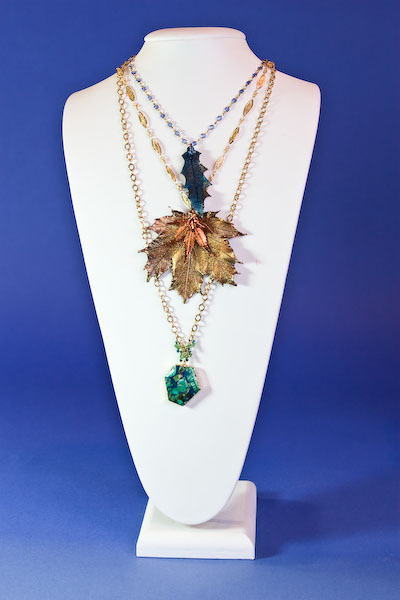 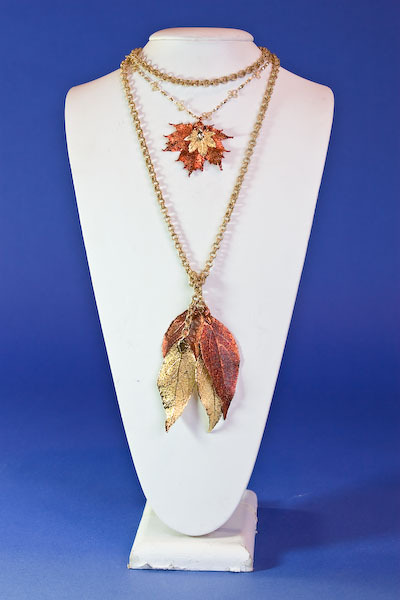 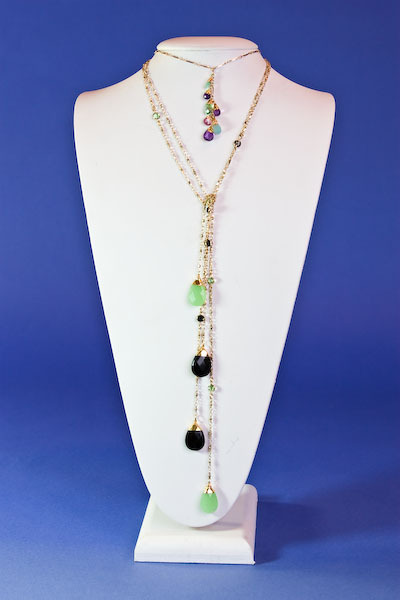 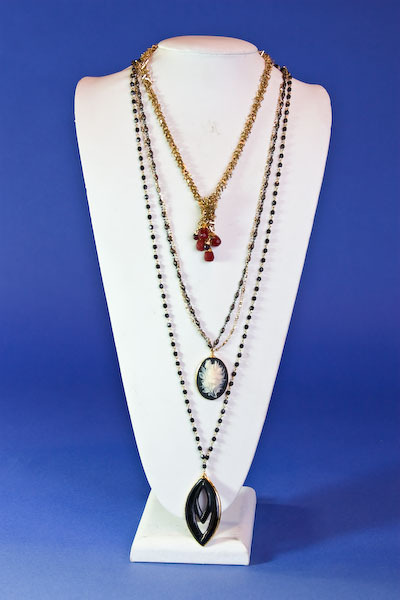 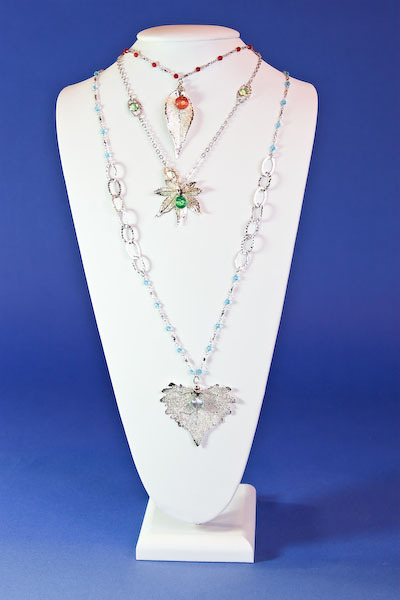 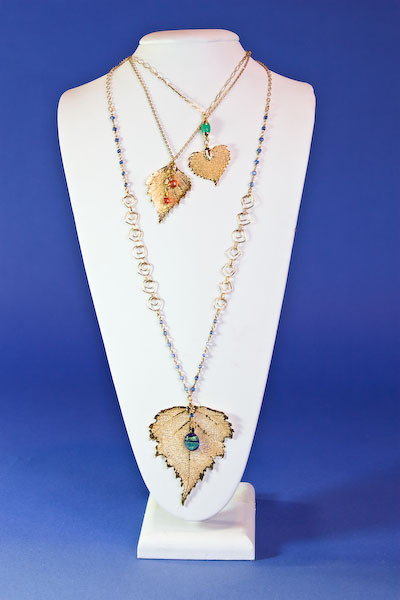 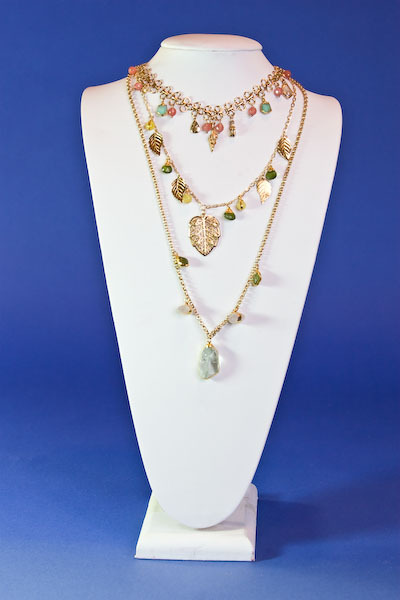 The folowing necklaces are meant to show you what can be done with our leaves, stones, sealife, chains and components. 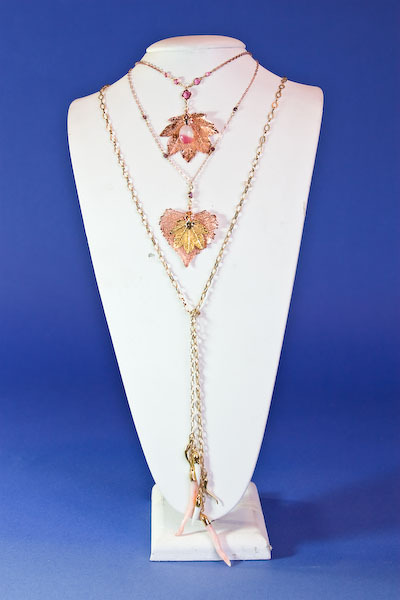 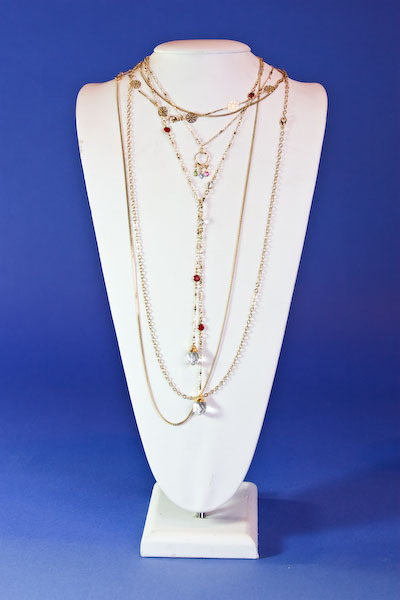 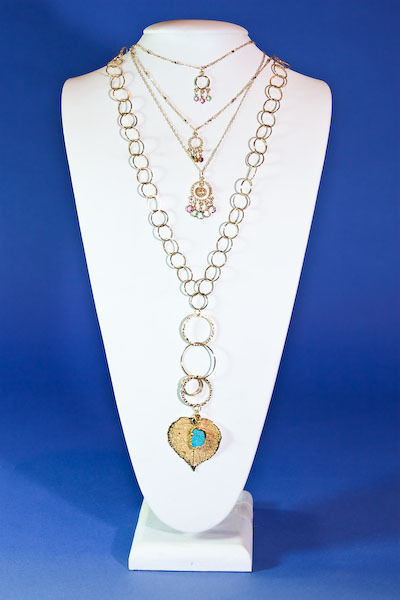 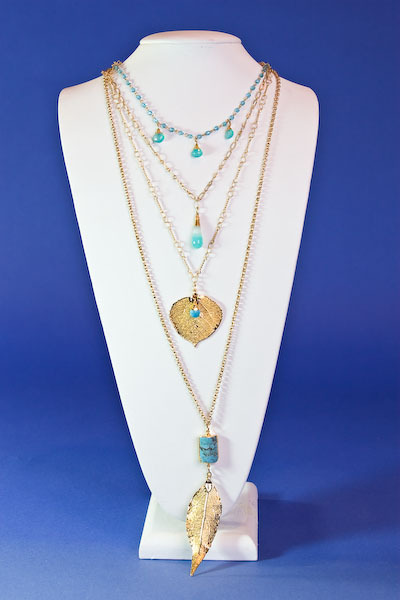 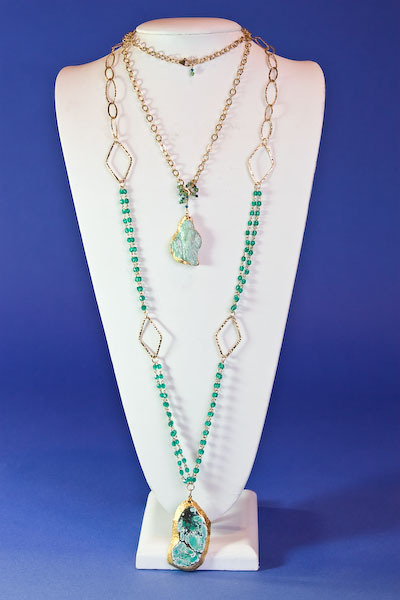 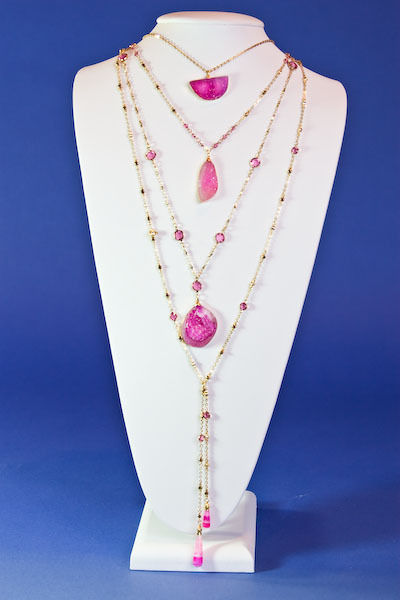 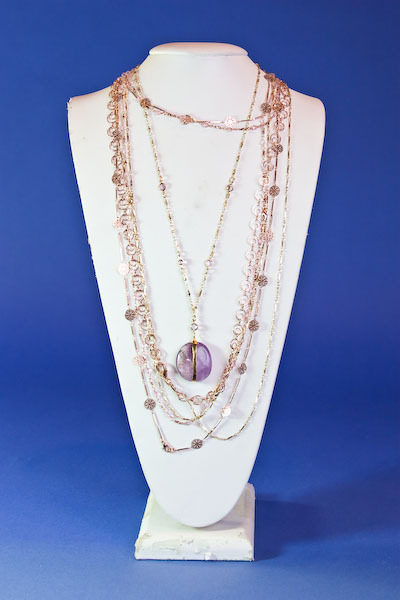 Each item that makes up a necklace may be purchased individually as a component or as a total kit that you can assemble yourself. 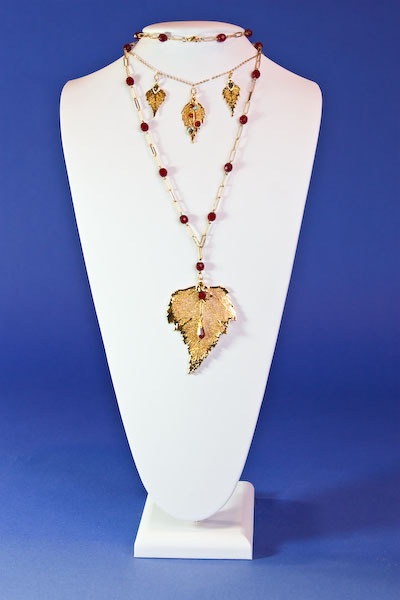 Please click continue and fill in Registration form and submit to us.